Amino acids are lost from the body of the cat and dog through the synthesis of non-amino nitrogen containing compounds (e.g. histamine, serotonin, etc.) 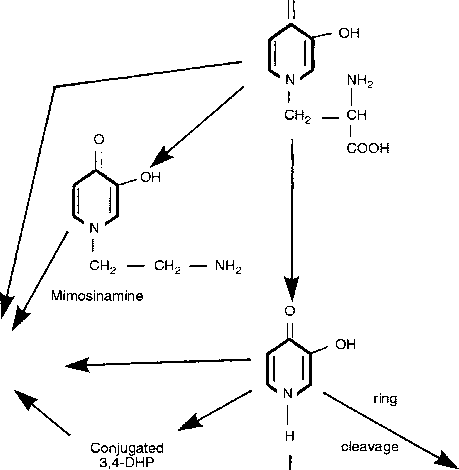 and amino acid nitrogen contain ing compounds (e.g. 3-methylhistidine, carnitine, purines, creatine, felinine, etc.) (see Chapters 1 and 4). Although the losses of amino acids from the body through these routes are often considered to be small (Reeds, 1988; Moughan, 1995) in some cases the amount of amino acids lost via these compounds can be significant.